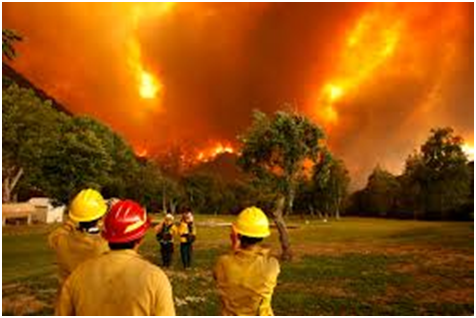 California Forest Fire, Fires in California have been raging, and the fire has touched the edge of Los Angeles (L.A.). This great wildfire, even in California, where fires are common, is numbered and less to see. There are many geographical and meteorological factors behind it. It is hard to see the clue without careful analysis. Certainly, the huge economic losses caused by Forest fires are also largely the result of man-made disasters. 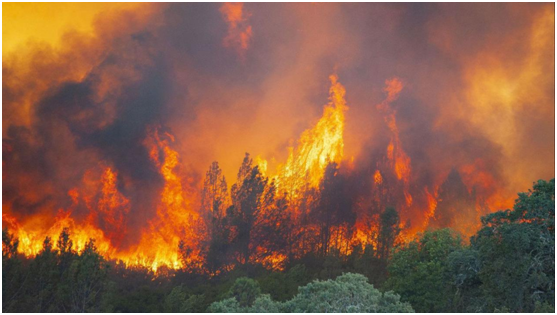 Generally speaking, the Fire is called forest fires, which it is out of man-made control; spreading and expanding freely in forest land; and bringing certain harm and loss to forest, forest ecosystem and human beings. In a narrow sense: forest fire is a sudden, destructive natural disaster with difficult rescue. October 8, 2017 afternoon, North of San Francisco, California, USA, more than 1,000 residents and tourists evacuated their homes and abodes overnight in Napa and Sonoma counties, where forest fires continued to spread on October 9, 2017. By October 11, 2017, at least 23 people had been killed, 180 injured, hundreds missing and more than 20,000 evacuated because of Forest Fire. The dead included 13 people in Sonoma County, 2 in Napa County, and 6 in the county of Mendocino. By the evening of October 12, 2017, the number of deaths caused by mountain fires in northern California has increased by 2. So far, the total number of casualties caused by Forest fires has reached to 31. However the harm will not stop, as of 17 October 14, 2017, the fire had caused 36 deaths and hundreds of others were missing. Subsequently, till October 19, 2017 in California, the United States, Forest fire had killed at least 42 people. Sonoma and Napa two county main hospitals had treated more than 100 wounded, two of them seriously injured. California Governor Gordon Brown had issued an order urging relief forces in other parts of California State to do their utmost to help the northern region. Thousands of firefighters join in the fire fighting. In addition, firefighters from Oregon, Arizona and Washington State continue to join in the team of fire fighting. On October 9, 2017, California Governor Brown announced a state of emergency in Napa, Sonoma and Mendocino counties as the fire spread. In meantime, the Forest fire destroyed more than 2000 hospitals, schools, houses and other buildings. California’s Napa, Sonoma and Mendocino counties had not yet been completely under control, and Sonoma County’s education department decided to close schools in nearly 40 school districts in the county on October 10, 2017. The more information about natural disaster.